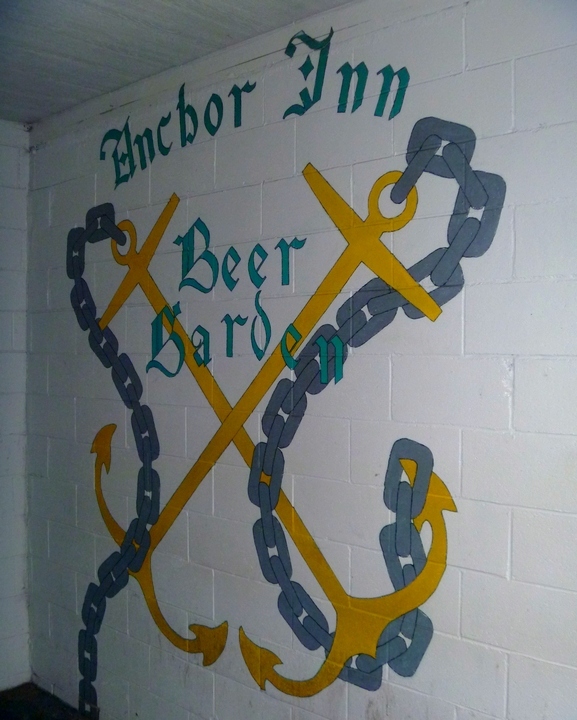 An old fisherman once told me that if you go into a bar named "The Anchor" in any place from Alaska to the Florida Keys, you are looking for a fight. I think those days are pretty much over. The Anchor in Everett held true for many years, but is now a slightly more gentrified paean to the working man. The Anchor Inn in Anacortes may or may not meet that definition -- we stopped by on a lazy afternoon when there was a tiny number of barely moving patrons. That changed, however, after about twenty minutes, when the riders on the "Bus To Nowhere" -- about 45 of them -- suddenly descended on the place. 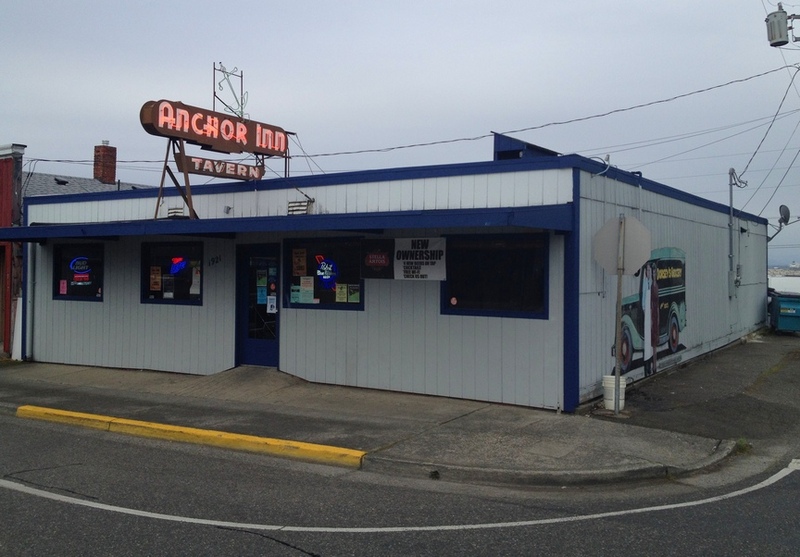 The BTN is organized annually by two Marysville bars, and rather than nowhere exactly, it goes to a series of bars unknown to the participants and perhaps to the driver as well. This was the 7th bar stop of the BTN so far, and most of them were still drinking heartily although a few victims lay passed out on the bus. The two employees did an admiral job keeping up with the crowd. 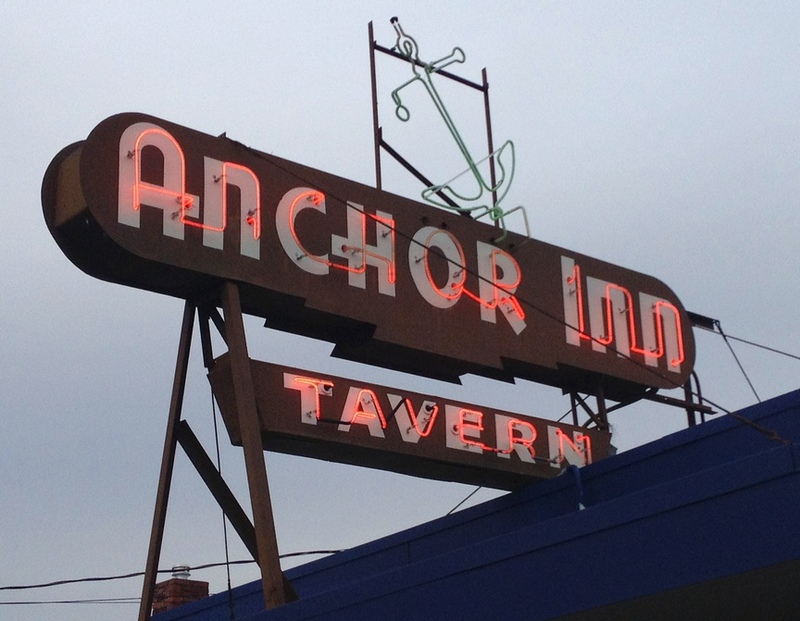 The Anchor Inn itself is fairly indistinguishable inside from a hundred other neighborhood dives. It's still a bit smokey, and apparently the new owner has greatly enhanced the drink choices by adding both liquor and some beers on tap besides Bud and Bud Lite. We were informed the Anchor has been around since the 40s, and indeed, the 1948 Polk Guide lists it under this name and address at least as early as 1948.